The ridiculous amount of rain in Sydney has had many consequences across our fair city (though nothing like the havoc being wrought in the bush). On the glorious insular peninsula the rain has caused the Queenscliff Lagoon to breach its sand walls and join up with the ocean. This isn’t that unusual, but normally it’s big seas that make the connection, not the other way round. 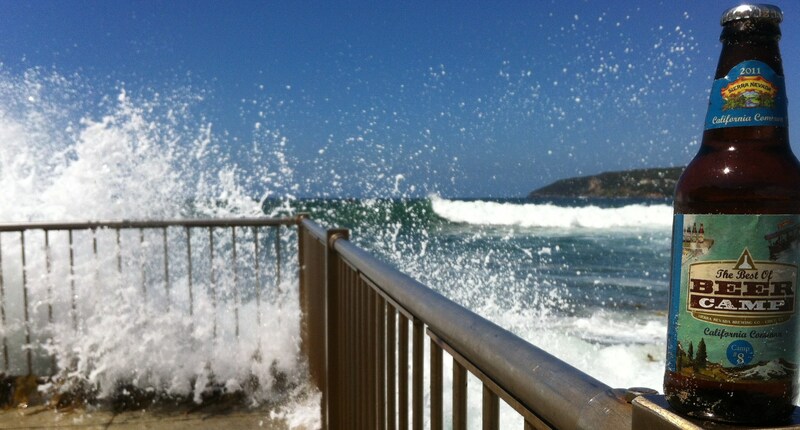 As you can see from the photo, the seas have been big – but the rain’s been bigger. Sierra Nevada is one of the giants of the craft brewing scene in the US. Their beers are now starting to bob in bottleos all over Sydney and that’s a good thing because it is pretty much always a pleasurable experience. Recently a friendly American who recognised my penchant for the amber stuff gave me a wonderful gift, which he picked up at a Melbourne bottleo. 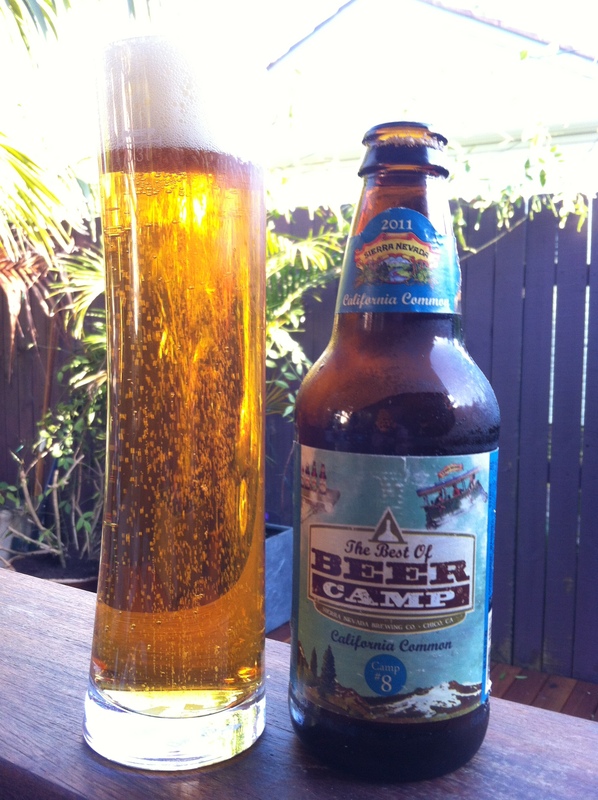 It was a 12 pack of 4 types of Sierra Nevada that come out of their experimental lab called “Sierra Nevada Beer Camp “. One of them was called “California Common”, which I thought was a good segue into the Queenscliff story – the beach and all. It turns out that “California Common” is a specific type of beer that replicates “Anchor Steam”, but no American Brewer can call their beer “Steam Beer” because Anchor trademarked it. There are now dozens of “California Common” varieties out there by numerous brewers and Sierra Nevada is one of them. Interesting that this version hasn’t progressed beyond the Beer Camp stage and it doesn’t appear on the regular website. I found it particularly sharp and resiny. Almost Norscaesque in its pine notes, with a slight viscousness like a tree sap. Good beer, but a sipper. 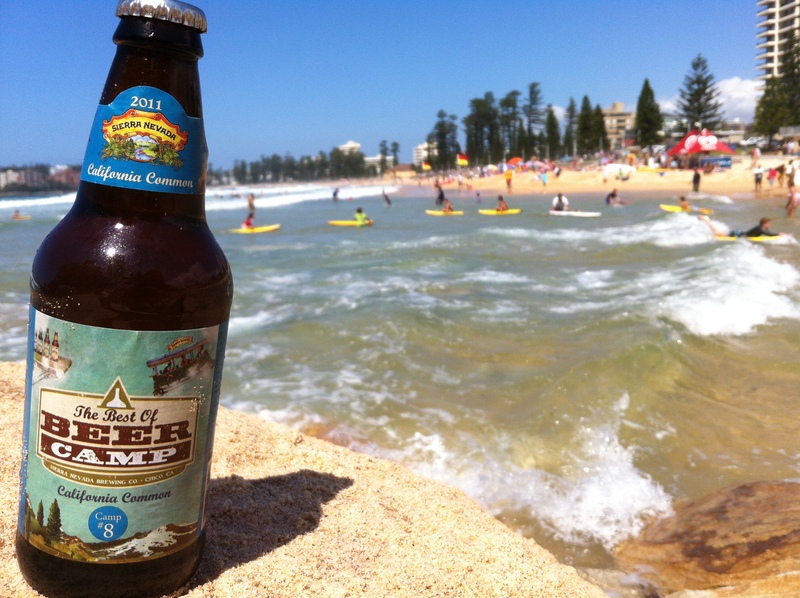 Can anyone recall another “California Common” available in Australia? Mountain Goat Steam Ale is one…. Do I win something? Sierra Nevada, if you do not yet know, is expanding. Last month I wrote an article about their moving and expanding east to the Blue Ridge Mountains of North Carolina. It’s a beautiful area that I’ve been to many times bicycling and hiking – or just being there. You may want to read it and enjoy the beautiful photos of the area. I enjoyed your review. Have a g’day! Sierra Nevada is one of my ‘go to’ beers, and amongst craft brewers they have one of the better distribution systems in the US. It is so good that I can go to my local crappy taco place, and they will usually have the SN pale ale in a bottle. I am not really a fan of collaboration beers, as I find them to be overrated and always less than the sum of the parts. The exception to that general rule is Sierra Nevada’s collaborations, which are always spot on. Their collaboration with Dogfish Head, called Life & Limb, was excellent, and their collaboration with Fritz Maytag of Anchor Brewing is one of the best beers I have ever had.